Daniel Cormier knew exactly what he was doing with his post fight speech after submitting Anthony “Rumble” Johnson at UFC 210 in Buffalo. 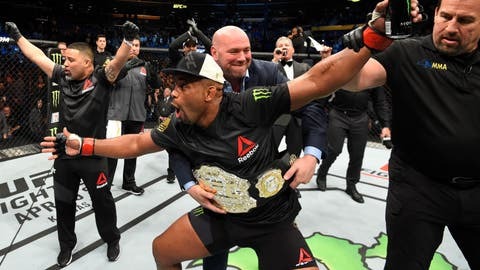 As soon as Cormier finished celebrating his victory, he turned his attention to British slugger Jimi Manuwa, who was sitting cage side, before then addressing longtime rival Jon Jones, who also happened to be in attendance for the fight. By taking aim at both Manuwa and Jones, Cormier already started promotion on two possible matchups when he returns to action later this year. In a perfect world, Cormier would prefer facing Jones to avenge the only loss of his professional career, but he’s also heard that the former champion might be interested in a tune-up fight before facing him with the title on the line. If that’s the case, Cormier is more than happy to offer a shot to Manuwa, who was very vocal about a shot at the title while sitting cage side in Buffalo. 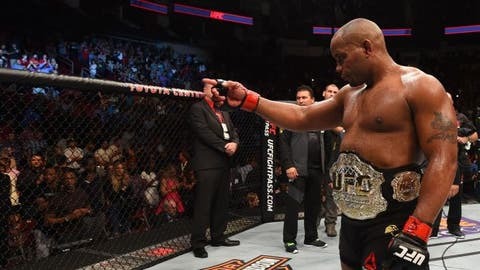 Cormier’s attack on Manuwa was definitely calculated and he says he gave the British slugger more fame in that exchange than he’s enjoyed during his entire career in the UFC. For one night only, Cormier claims he made Manuwa relevant while giving him the experience of a lifetime as he sat just a few feet away from a championship bout. “Jimi got the ultimate experience. We call it a night at the top,” Cormier explained. “He got to pretend for a night. He got a night at the top like he really matters. He got to sit next to the Octagon, watch very intently, got yelled at by the champ. While there’s still no word on whether or not Jones will ultimately face Cormier in his return to action after his suspension is lifted in July after serving a year out of the sport after testing positive for a banned substance in 2016, Manuwa certainly appears more than willing to face the champion in his next title defense. Cormier and Manuwa even got into a war of words over social media on Monday while jabbing back and forth at each other about the proposed fight. 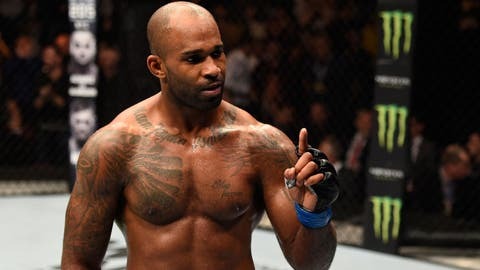 As much as Manuwa has been pounding the drum to get the next shot at the champion, Cormier promises that the heavy-handed Brit will not enjoy the result once he steps into the Octagon with the best in the world. “Jimi needs to calm down. Jimi needs to quiet down before he gets it. 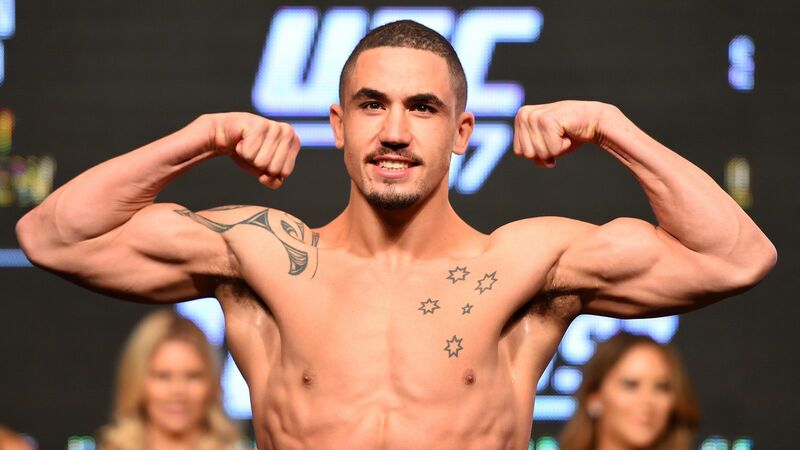 Jimi needs to shut his mouth before he gets what he’s asking for and when he gets what he’s asking for it’s very unpleasant,” Cormier said. “He does not want this. He really does not want what he thinks he’s asking for. For now, Cormier is going to enjoy some time off while preparing for his wedding in May but it sounds like he’s definitely ready to book his next fight sooner rather than later.